Vertically oriented ZnO nanowires grown by a catalyst free chemical vapor deposition technique on c-plane of sapphire substrate show band-edge related excitonic lasing features. High resolution X-ray, scanning electron microscopy and photoluminescence analyses are collectively employed to understand the lasing behaviour from the nanowires. The nanowires show high degree of crystallinity, strong c-axis preferred orientation as well as relative in-plane alignment and sixfold hexagonal symmetry of the wurtzite phase. The nanowires are optically pumped using a 325 nm laser source and the emission characteristics are studied in detail by varying temperature and excitation intensity. The nanowires show the onset of lasing characteristics below 150 K which become prominent at 3.4 K with sharp multimodal emission characteristics. 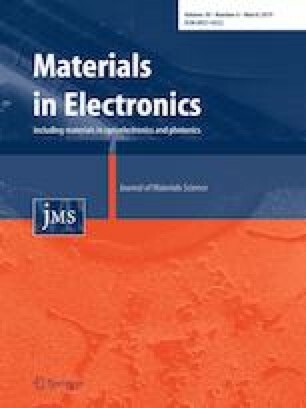 The threshold pump power for the onset of lasing is found to be of 14.5 mW at 3.4 K. Even though with increasing optical pumping, the lasing features from the nanowires lost their prominence being suppressed by spontaneous excitonic and defect transitions above 150 K.
The authors thank Department of Science and Technology, India for the financial support for facilitating the experiments at the Indian Beamline, Photon Factory. One of the authors TM would like to acknowledge UGC, Govt. of India for the financial support.